Most of these photos are from a 2017 visit to Bohemia, Oregon. Oregon is most certainly a state that boasts a significantly rich history with regards to its gold rush heyday. Throughout the mid-late 19th century, countless people flocked to the mountains of Oregon with hopes of trying out their luck to strike it rich and change their lives forever. 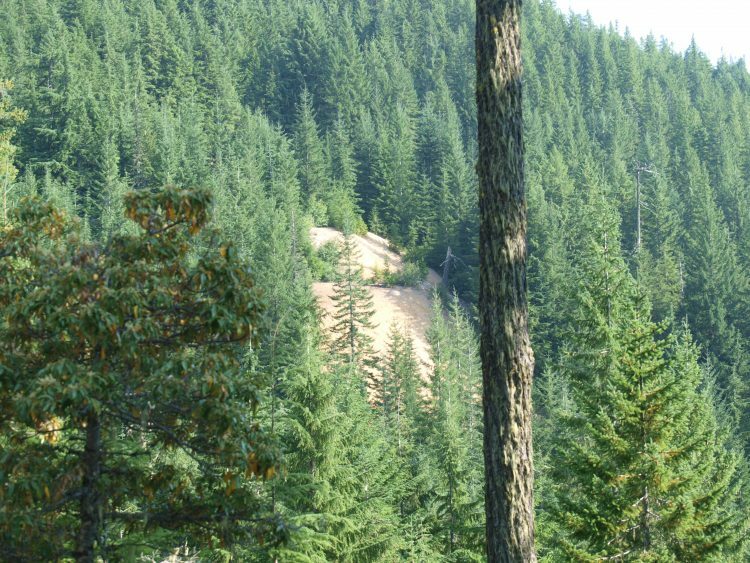 One of the most infamous areas of Oregon that can lay claim to being the source of many men finding significant amounts of gold is that of Bohemia mountain and the small settled town of Bohemia. 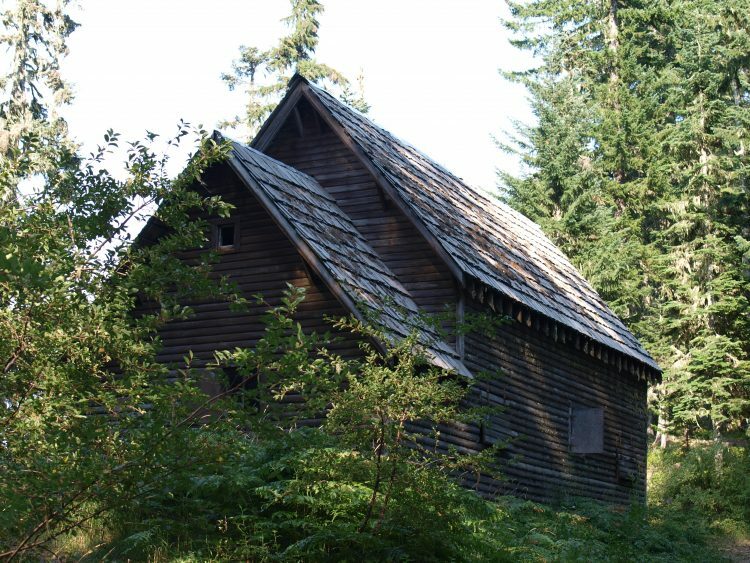 At one point the richest mining district throughout the West Cascade Mountains, the Bohemia Mining District is located in Lane County roughly 35 miles east of Cottage Grove. Gold was first found on Sharps Creek back in 1858 by a group of four men, O.P. Adams, Rufus Adams, W.W. Ogelsby, and William Shields. The Bohemia Mining District was named after Mt. Bohemia which is located close by and in1866 the name spread to a nearby town that had been founded, named Bohemia City. 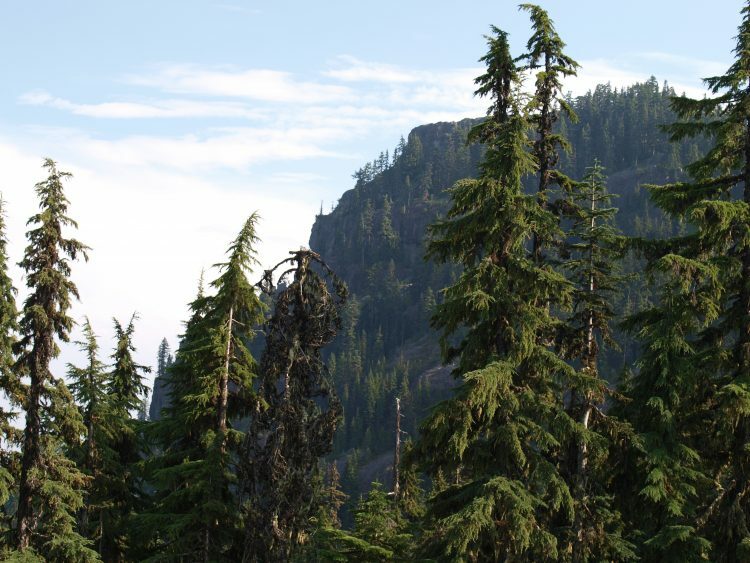 The area itself has an incredibly rugged landscape and can be found in a low dip on the ridge between Mt. Fairview and Mt. Bohemia. An old mine shaft on the road up to Bohemia from Sharps Creek. The nearest supply point was the small town of Cottage Grove which served as the main supply stop for miners and residents of Bohemia City to get food, mining equipment and other supplies. Winter’s proved to be incredibly difficult for many of the miners, and the vast majority had abandoned the town by the turn of the century, however at the onset of the Great Depression a good many had returned. Many winter’s were hard on the miners who were very reluctant to ever quit and go home. Tailings from an old lode mine on the way to Bohemia, Oregon. Many prospectors had up and left by 1900, but many returned during the great depression. The four men who had initially found gold and settled the area actually lacked the essential understanding as to how exactly they needed to capture ample amounts of gold and thus simply came to the conclusion that in would be in the parties best interest that two of them travel to Josephine County which was already a nicely established mining district, this would allow the men to be able to simply observe and learn from the other miners. 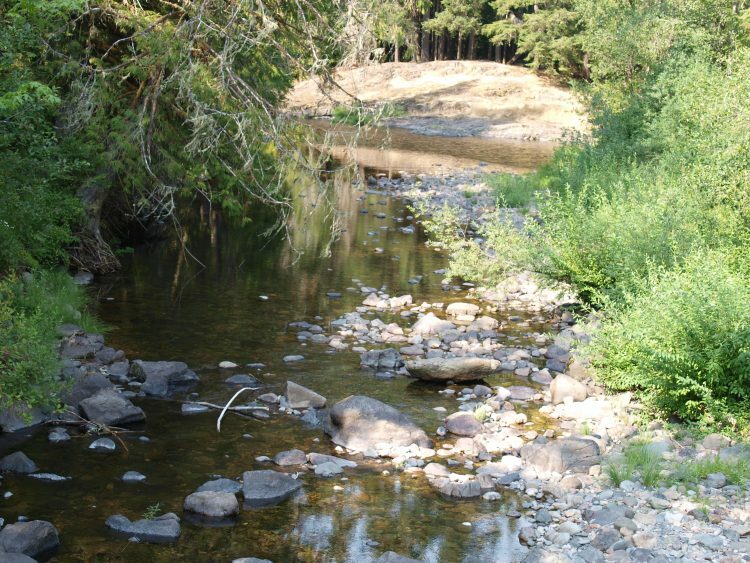 When the men returned to Bohemia they successfully built a sluice box which they utilized on Sharps Creek and found that the amount of gold they were finding had quadrupled which allowed the men to actually become profitable enough to keep working. The men split up again the following year in order to test out other streams in the area for gold. The vast majority of the streams contained little to no gold however the story of Bohemia continued on into a different venture. More mines visible from the road to Bohemia. 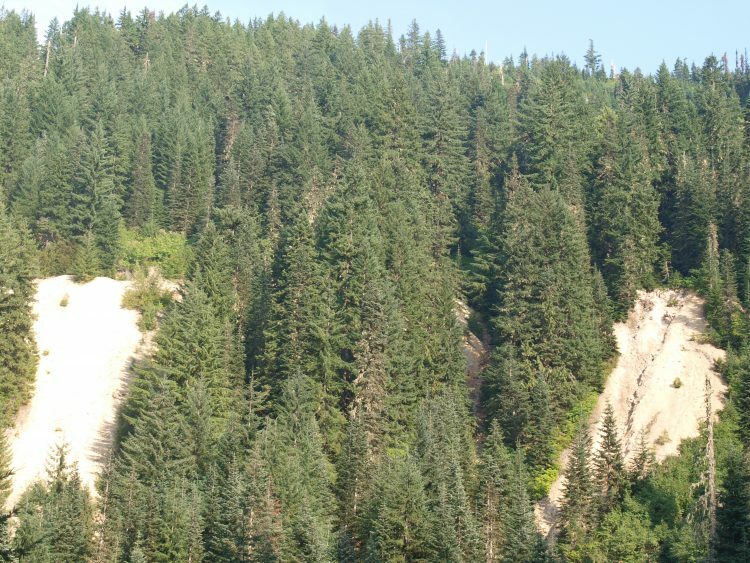 In 1863, an outlaw by the name of Bohemia Johnson, was a man on the run who was hiding on the mountain from the law for killing a Native American in Roseburg. Johnson located some gold in quartz in a stream that was located about 3/4 of a mile from the southern area of Mount Bohemia. Interestingly, Johnson chose to not mine the gold-quartz, he simply went back to Cottage Grove and told the residents of the discovery. The following summer, gold miners and prospectors flooded into the area, of which included the original team who were the first ones to discover gold in Sharps Creek. Not only did Johnson share about the gold-quartz that lead to the huge gold boom on the mountain, he was also the first man to locate the very first gold lode deposit on the mountain as well. Known today as the Mystery Mine, Johnson shared this find with prospectors and miners stating that he found a pocket of gold of which gave out upwards of six feet of depth. Sharps Creek has good placer gold. Most of the creeks is claimed up, but there are a couple spots along the creek that are withdrawn from mineral entry and you can do some panning. Many people believe that Bohemia Johnson secretly found gold elsewhere, which led to the name Mystery Mine as many searched the mine extensively and never found gold, leading many to question if it even ever existed in the first place. 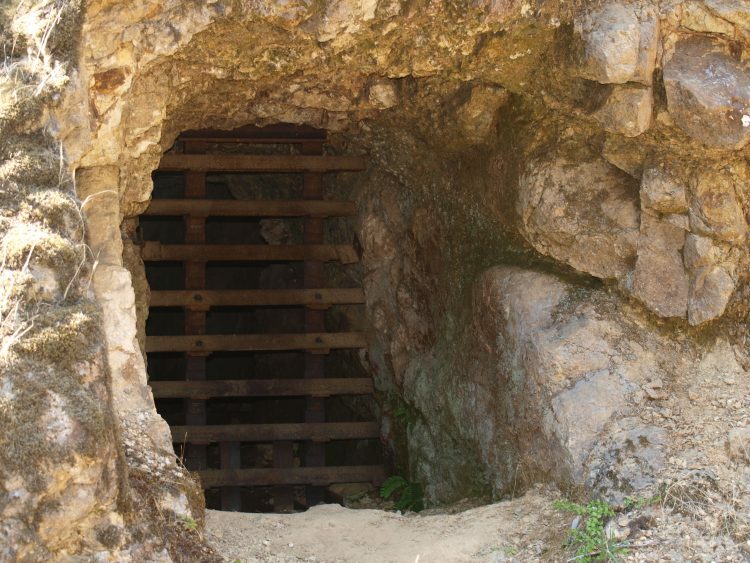 There have been many lode gold mines of which have been dug in the area throughout the years with gold being located in quartz that are copped along the ridges of the Bohemia Mining area which spans about 5 miles in length. While gold miners and prospectors flooded the area searching for gold and gold-quartz in the streams of the area to no avail, the gold boom began to cease and the vast majority of people left the area in 1877. 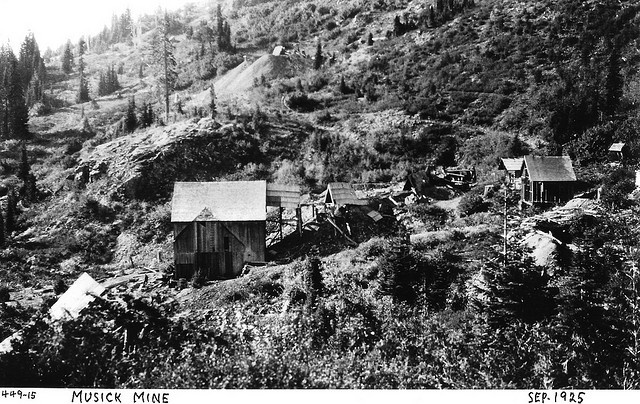 Bohemia Mining Camp was built yet again in 1889, and two years later a highly regarded gold miner from California, James Musick, traveled to Bohemia City searching for good investment opportunities. This of course led him to finding the most rich quartz vein in the entire district and the location of the claim was incredibly close to the Bohemia City Mining Camp. A mere ten years later, the lode (known as the Musick Mine) sold for $85,000 (which is about 3 million dollars in modern day value) and which led to the formation of the Calapooya Mining and Tunnel Company which also owned Helena Mine and Champion Mine (Evening Star Mine). Though now a ghost town, Bohemia City and Bohemia mountain boast an incredible history in terms of the days of the Oregon Gold Rush. Which is precisely why that even today celebrations continue in the area of Cottage Grove that encourage people to remember that wondrous history. Every year during the summer months, the town’s surrounding the mountain come together for what is known as the “Bohemia Mining Days”, a 3-day celebration that is packed with parades, a carnival, music, live historical events, and a ton of other festivities that encourage people of all ages to take in a bit of their local history in a hands-on manner that is packed with fun and excitement! A sign below one of the old mines shows that rehab work is taking place to restore the area from past mining. If you are interested in heading up to Bohemia mountain in search of finding the ghost town of Bohemia City, please note that the terrain can be quite difficult and patchy in certain areas and a safe, reliable vehicle is most certainly something that can not be stressed enough. Although not necessary, I would recommend a 4WD vehicle. There are additionally a lot of various turn-offs, roads and trails on the mountain itself so when you have found directions to getting to Bohemia City, be sure that you closely stick with them to avoid getting lost, which has been the case with a good many people who have gone in search of the ghost town. 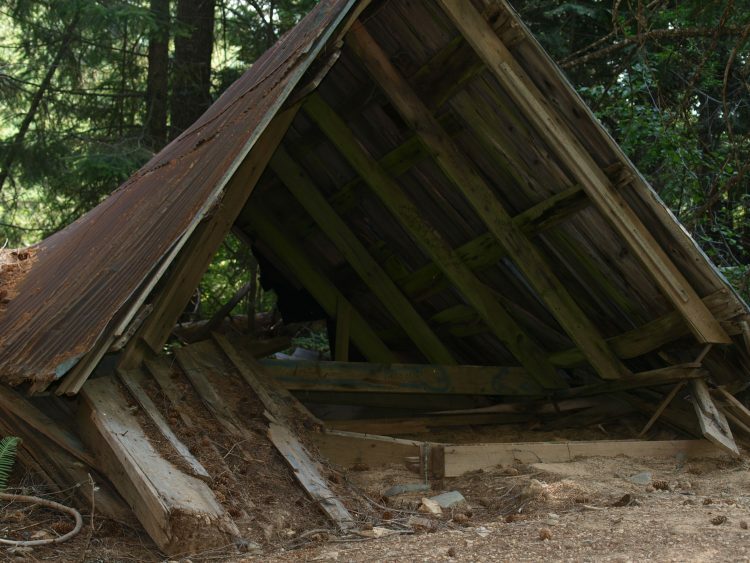 Be sure to always exercise the utmost care and caution in the area as well. 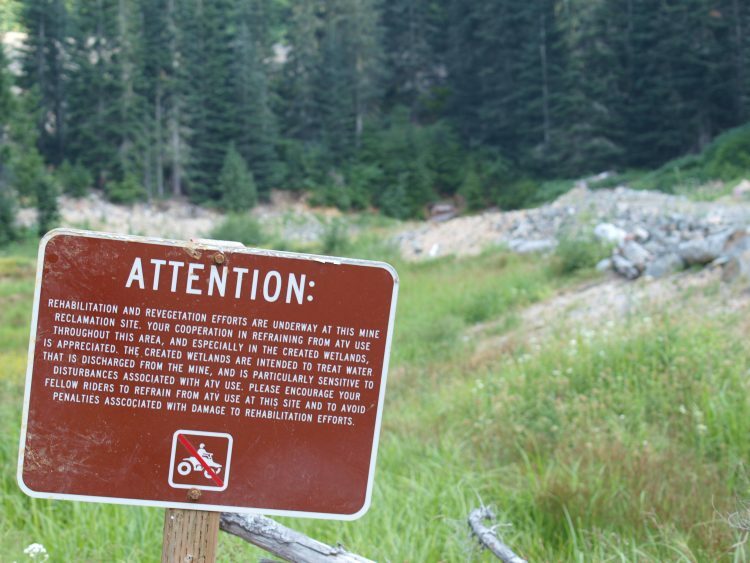 Former boom towns are loaded with mine shafts and other hazards that can prove to be quite treacherous if caution is not taken into consideration.